Stonfo Razor Blade Holder for trimming deer hair flies. 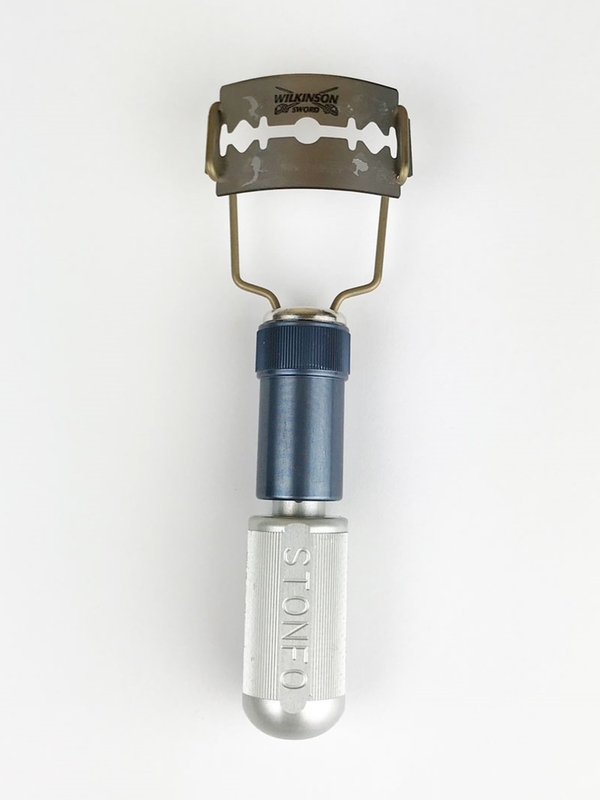 A specially designed tool that is perfect for precise trimming of deer hair heads and deer hair bugs. 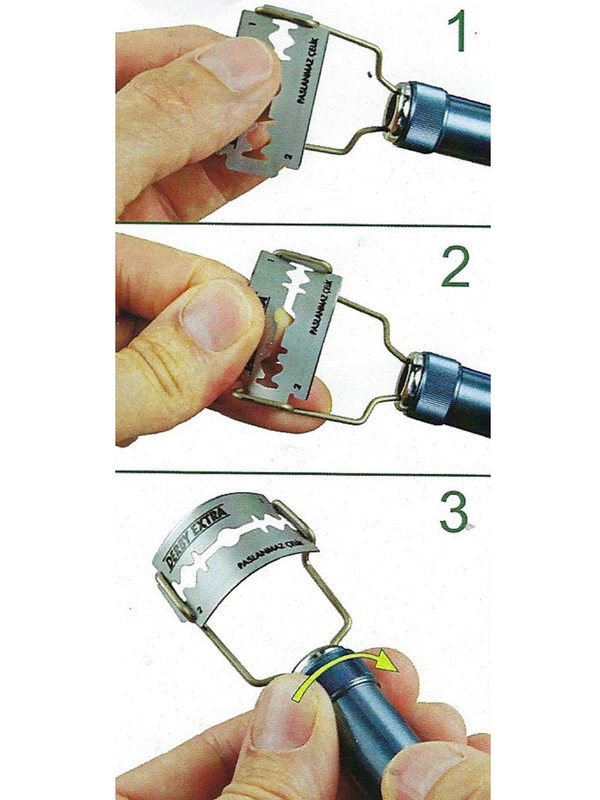 You insert the double edge razor blade into the "jaws" where it is held securely. Then, the rotation of the ring nut allows you to flex the blade to the desired angle to have a more uniform and precise cut. Provides for a very safe and stable trim every time. 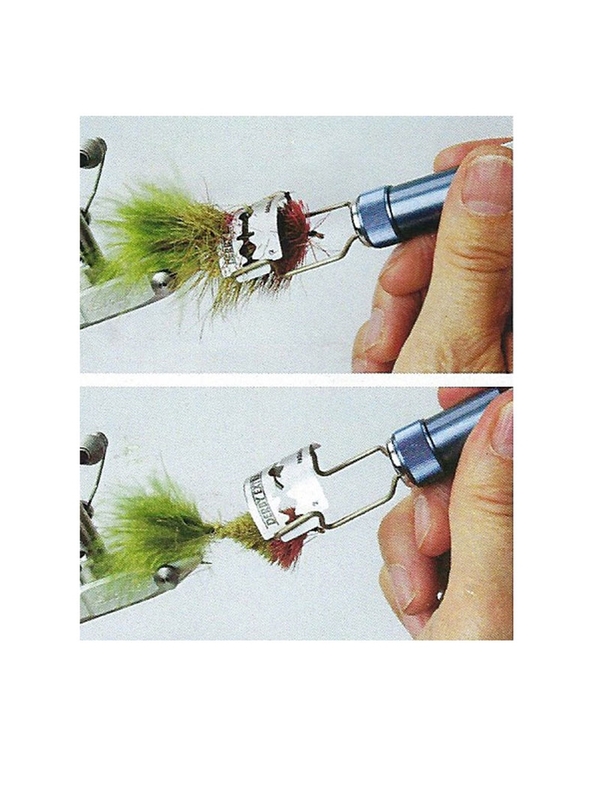 The Stonfo Razor Blade Holder is one of the most needed, innovative and sought after fly tying tools to come along. Deer Hair trimmers rejoice! We can't say enough about this tool. There have been a few versions out there on the market in the past but this is by far the best version we have found. 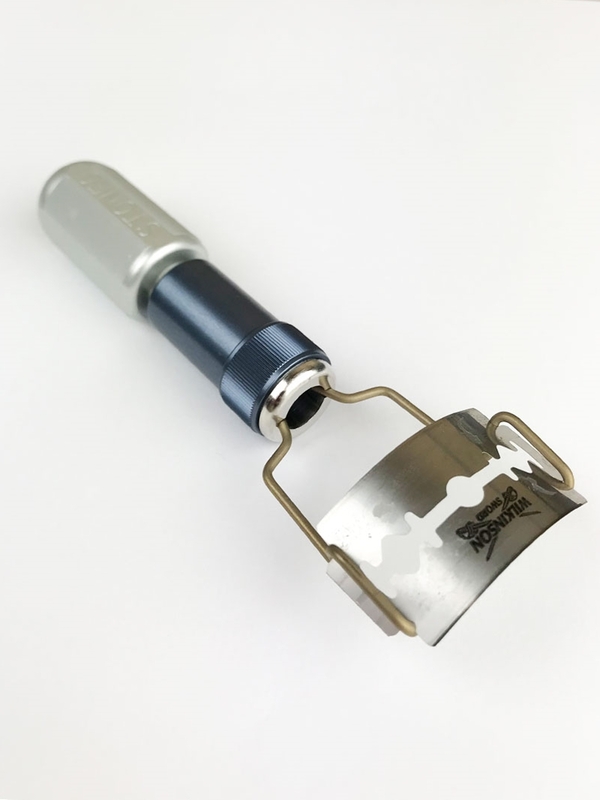 The Stonfo Razor Blade holder comes with a pack of 5 Wilkerson double edge razor blades.